In the National Hockey League (NHL), the Original Six is a popular moniker given to the first six teams to populate the league. For 25 years, only six squads (Boston Bruins, Chicago Black Hawks, Detroit Red Wings, Montreal Canadiens, New York Rangers, and Toronto Maple Leafs) faced off until expansion inevitably diversified the playing field. While the newer teams have their own rich tradition and an ample amount of amazing memories, the Original Six is revered in NHL lore. Here at Fitdigits, we have our own Original Six. All of you future Mr. and Ms. Olympia out there have made weight lifting by far our most popular new workout type, nearly doubling the next closest option. While popular perception connects lifting weights solely with gaining mass, pumping iron is a great way to raise your metabolism. Coming in second most frequently used is our good friend the Elliptical. Elliptical workouts are an excellent alternative to running, in that it allows for a great cardio workout without putting all of the additional wear and tear on your knees, feet and ankles. Maybe try mixing it up on the Elliptical by performing heart rate based interval workouts. Getting the bronze medal is Circuit Training. A workout that is short on time but long on results, circuit training is a great way to get an efficient and effective workout. For more information on the benefits of Circuit Training, Shape.com has an excellent article on The 7 Benefits of Circuit Training. Sometimes the relentless summer sun can be beating down a little to aggressively and you need to take your run indoors. That line of thinking has led Treadmill Run to be the fourth most popular new workout type. Record your pace and distance on a treadmill by manually entering your distance. Walking is a fantastic way to stay active when your body is not up for an intense workout, and Treadmill Walk has slowly but surely made its way into fifth place. The American Heart Association recommends 30 minutes of activity, and walking is a great way to meet that goal. Read all about The Benefits of Walking. 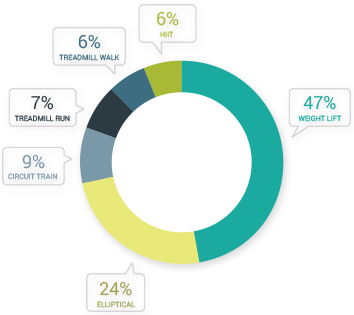 HIIT, short for High Intensity Interval Training, is one of the best ways to burn fat while working out, and Fitdigits users have hit HIIT up into sixth place amongst new workout types. HIIT combines intense short intervals of activity with short intervals of rest, allowing the heart to recover slightly before kicking it into overdrive all over again. HIIT is a perfect companion for a compatible Heart Rate Monitor, allowing you to chart your intervals in an easy to understand graph. Sometimes, the weather does not cooperate and you cannot workout outdoors, or maybe you just prefer the gym. If that is the case, use Fitdigits to track your treadmill or elliptical workouts. 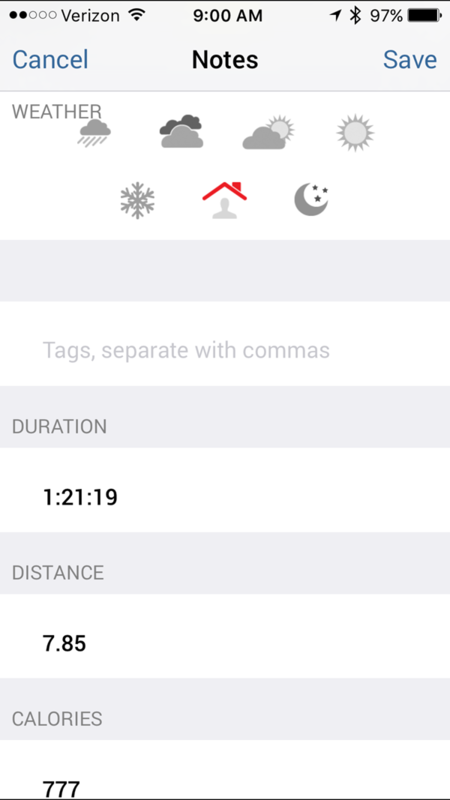 Even if you do not have a Footpod, you can still record your distance. First, go to Settings -> My Sensors. Next, choose either a run workout or an Other Workout labeled either Treadmill or Elliptical. 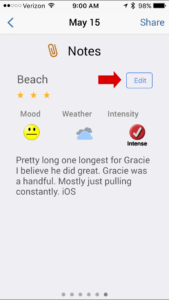 Record your workout, and when you are finished, go to the notes page. 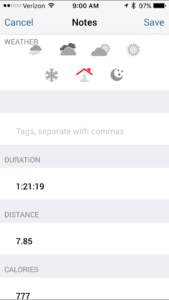 Tap the MORE button at the bottom, where you can add your distance, modify calories, or even edit times. You can also log on to my.fitdigits.com and manually enter in the distance you ran on the treadmill, which you can view on the notes page. 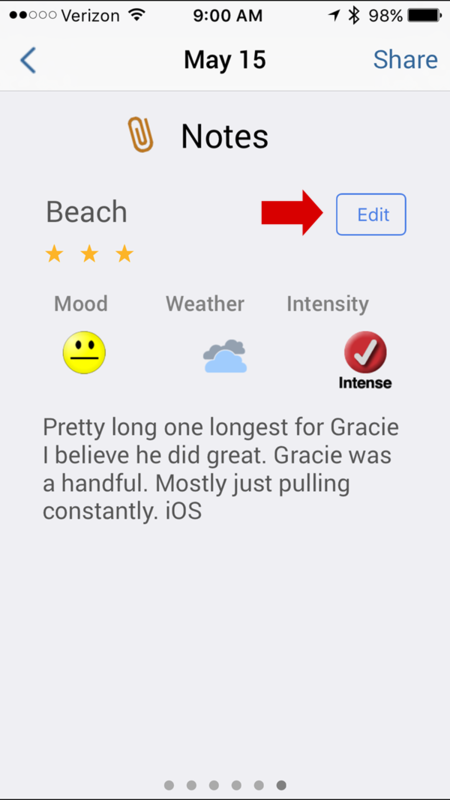 After you do so, next time you sync the iPhone app, your distance and pace will show up in the app.